In manufacturing and fabrication applications, such as metal stamping, there are a few key elements to consider when forming a partnership. 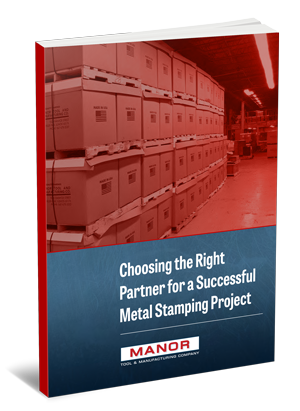 Download Choosing the Right Partner for a Successful Metal Stamping Project Now! In this eBook, we want to provide you with an overview of a few parameters to consider when hunting for the right metal stamping partner for your next fabrication project.